It’s been a tough couple of years for the entry-level MacBook. The multi-colored, polycarbonate MacBook was once the popular choice for years, before it was replaced by the thin, unibody MacBook Air back in 2011. The new MacBook was a looker, but its high price and low performance pushed customers toward more cost-effective competitors, including the MacBook Air that just received an upgrade (in both components and pricing) in October 2018. The 2017 MacBook model was intended to change all that. Featuring a 7th-gen Intel Core m3 processor, 8GB of RAM, and 256GB of storage space, the new 12-inch MacBook ramped up performance across the board and aimed to give customers more bang for their buck. There are some clever design flourishes that help set the MacBook apart from similar competitors. When it’s closed and set on a flat surface, it looks impossibly thin — the angled edges give the appearance that it’s much thinner than it is. Upon the release of its redesign, the MacBook was the absolute thinnest of its kind at 0.52 inches, though it’s been bested this year by a number of laptops. In particular, the HP Spectre 13 comes in at 0.41 inches and the 2018 Acer Swift 7 is the thinnest of all at a stunning 0.35 inches. The 2018 MacBook Air is only slightly thicker at 0.61 inches, although it’s considerably heavier by three-quarters of a pound because of its larger 13.3-inch display. You can see the DNA of previous MacBooks here in the bezels around the display and in the proportions of the chassis. It’s clearly a descendent of the popular $ 1,000 MacBooks of yore, but there’s a refinement here — a uniquely modern feel. It’s plain but never boring. Speaking of those bezels, they’ve been reduced but don’t quite compare to laptops like the Dell XPS 13 or the HP Spectre 13. The MacBook has only one port. It’s an unnecessary hindrance, not a feature. Some of the Windows-based competitors do follow in Apple’s footsteps, but most have at least one additional port. The Dell XPS 13 has a mix of Thunderbolt 3 and USB-C, and Microsoft’s Surface Laptop (and Laptop 2) has a USB 3.0 port combined with DisplayPort (but no Thunderbolt 3). The HP Spectre 13 offers three USB-C ports, which solves some of the I/O problems in a frame that’s even thinner than the MacBook. 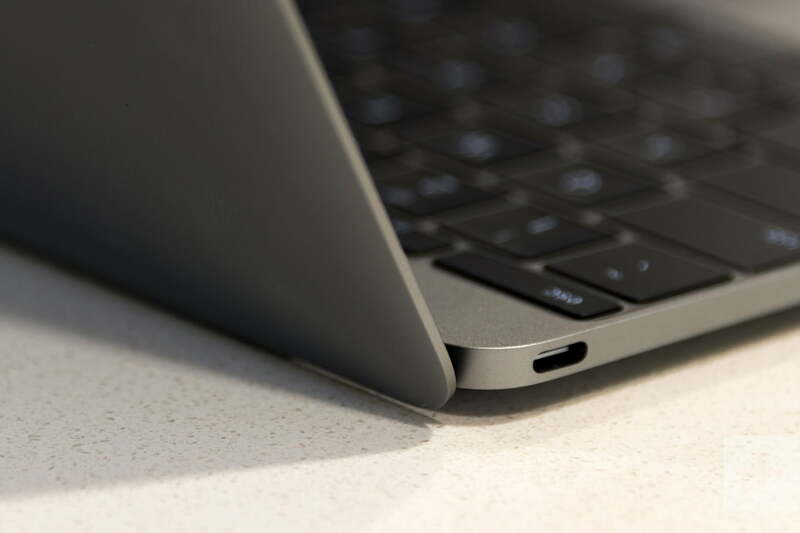 Even the cheaper, new MacBook Air has one more Thunderbolt 3 port. The keys themselves feel large and spacious, which is an achievement considering the size of this laptop. Every keystroke ends in a sharp, satisfying click, which can be unpleasantly loud of you’re a quick typist. It’s also worth mentioning that the keyboard itself doesn’t flex at all, not even a bit. When you’re typing, the MacBook rests firmly on your lap or a table, and the keyboard is perfectly rigid no matter how hard you type. The display is another high point for the MacBook, an arena in which Apple has few real competitors. The glossy Retina display features 226 pixels per inch, and a max resolution of 2,304 x 1,440. That degree of pixel density is impressive on a display this small. Text is crisp and inky, and images possess a remarkable sense of depth — but finding wallpapers of sufficient resolution can be a bit of a chore. In our tests, the MacBook’s display achieved top marks in nearly every category, coming in second only to the MacBook Pro 13. Its very good contrast ratio of 915:1 that’s shy of the MacBook Pro 13’s contrast ratio of 1200:1, while the 4K Dell XPS 13 and Huawei MateBook X fell into a typical range for most laptops, coming in at 850:1 and 690:1, respectively. The MacBook features a 7th-gen Intel Core m3 processor, which doesn’t exactly inspire confidence. Even the new MacBook Air has an 8th-generation version of the Intel’s low-power CPU. As an efficient mobile processor optimized for battery life over raw performance, the Core m3 lacks the punch and horsepower of Intel’s Core i5 and Core i7 processors, but during everyday use it’s a surprisingly strong performer. It should be noted that Apple offers a Core i5 configuration of the MacBook, though it’s not the Core i5-7200U you’ll find in most Windows laptops. Instead, it’s a rebranded version (thanks Intel) of the Core m5 that’s now being referred to as a Core i5. So while that model will no doubt be faster than the Core m3, it’s not going to compete with a true Core i5 experience. The MacBook Pro 13 now starts at $ 1,300 (sans Touch Bar), and it’s superior in nearly every way. You miss out on a little hard drive space, but what you gain in processor speed, battery life, display quality, and ports more than makes up for the smaller hard drive. If you’re just looking for a compact laptop, you have even more options. The Dell XPS 13 and Huawei MateBook X Pro are great examples, but options like the HP Spectre 13, Asus ZenBook UX331UA, and Lenovo Yoga 920 all offer better value as well. And with the introduction of the 2018 MacBook Air, Apple has presented maybe the best competition for the MacBook. The MacBook Air is almost as thin, it’s not that much heavier, and it offers better performance. Now that the MacBook Air has its own Retina display (2,560 x 1,600 or 227 PPI), the MacBook looses maybe its most significant advantage. The MacBook Air also increased in price and is now just $ 100 less than the MacBook, making te decision between them more difficult. If there’s anything that long-time Mac users will tell you, it’s that Macs will last for a very long time if you take care of them. The 12-inch MacBook is no different. Apple goes the extra mile when it comes to build quality and it pays off down the line. This thing is well-built, and should survive long enough to see itself become obsolete. The MacBook comes with 90 days of complimentary tech support, and a one-year limited warranty protecting against manufacturer defects. It’s eligible for the usual extended service via Apple Care. The MacBook is a good, even great laptop, meticulously engineered and beautiful. Apple itself makes it a tough sell, though, by pricing the standard 13-inch MacBook Pro at the same entry price and the MacBook Air just $ 100 less. Yes, the MacBook is more portable – but that’s the only reason we’d recommend it over the Pro or the Air. Before you buy, we recommend you go to the Apple Store and look at all three models. 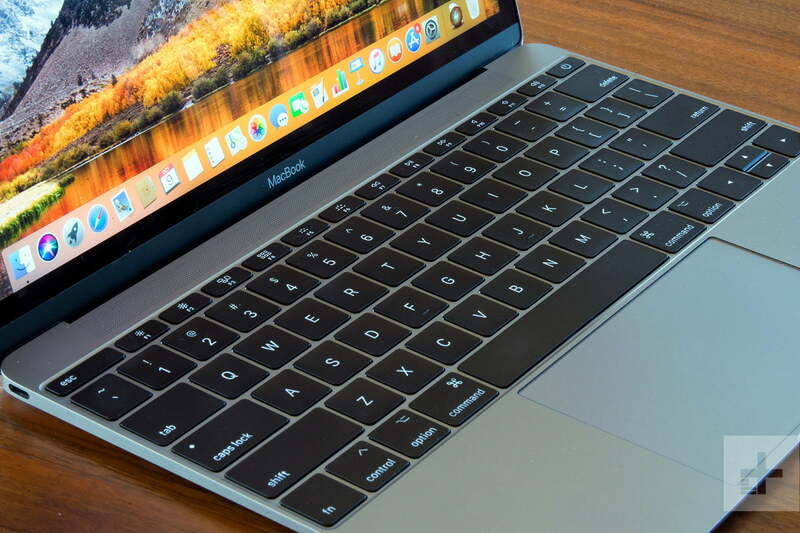 We think you’ll find MacBook’s slightly slimmer size isn’t worth sacrificing performance.